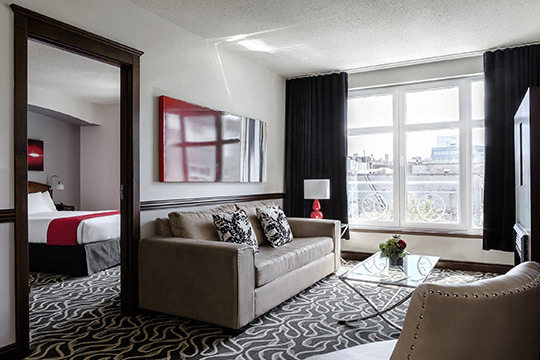 Le Saint-Sulpice is a 4 Star–4 Diamond luxury hotel in the heart of Old Montreal featuring 108 spacious suites, each with individual cachet and a charming view – of either the Old Montreal cobblestone streets or the hotel gardens. With a minimum of 400 sq.ft., our fully-equipped hotel suites are large spaces for living where you can take full advantage of your stay in all seasons. Certain suites even come with an electric fireplace, others with a balcony or terrace, and some offer both! 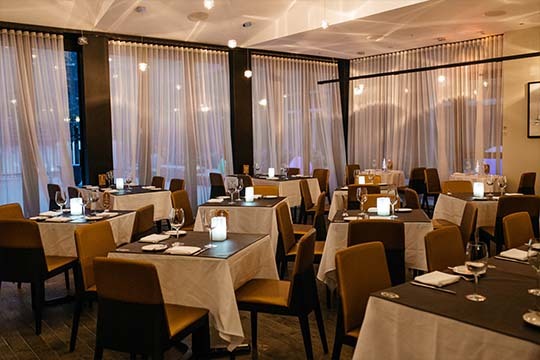 Exclusive guest services include an on-site restaurant, room service, in-room massage, free Wi-Fi, turndown service, and valet parking, as well as many other amenities. Our certified Clef d’Or concierges will always be happy to share their best tips and generous advice. In fact, the common goal of our attentive and welcoming staff is for you to make the most of your time with us! From the first moment, our luxury hotel immerses you in a unique and special atmosphere thanks to our warm and personalized service. 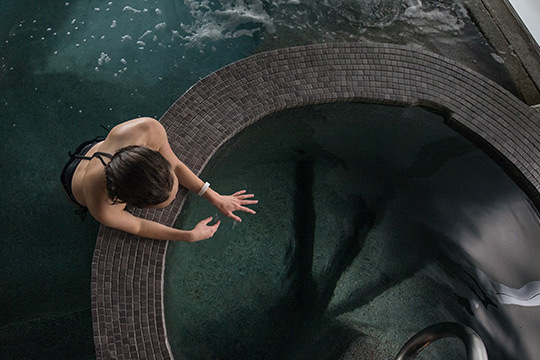 At the hotel, or close by, indulge in your choice of in-room massage, urban spa, yoga class, or gym center. For a business lunch, a romantic dinner, or drinks, discover Sinclair Restaurant and its magnificent terrace in the heart of the hotel gardens. Discover all you need to know about Montreal and unlock the secrets of our hotel. A fresh take on classic design, Le Saint-Sulpice Hotel Montreal is a luxury hotel with a light touch – part charm, part chic. Adjacent to Notre-Dame Basilica and the Old Port’s all-season attractions, Le Saint-Sulpice is surrounded by trendy Old Montreal shops, museums, and restaurant-bars. It’s close to Place des Arts and the downtown district renowned for the International Jazz Festival, Francofolies, and Just for Laughs. In wintertime, theatre and entertainment are complemented by a winter playground. Chinatown is also just minutes away, plus the Grand Prix and the Fireworks Competition. As soon as you step through the front doors, the gentle scent of white lotus beckons you through the luminous comfort of the lobby to the inner courtyard and garden where you’ll also find Sinclair Restaurant, offering bistro-style gastronomy. On your path of discovery, art greets you at every turn, inviting you to INDULGE YOUR IMAGINATION. That’s why we created 3 unique experiences to make your stay unforgettable. Near the elevators, discover our permanent exhibition, Body&Soul, featuring artwork by Quebec designer Jean-Claude Poitras. Waiting at your bedside for your perusal is our book Suite Stories, written exclusively for us by 14 international authors. When you’re in a cinematic mood, La Valise (“The Suitcase”), our short-film produced in the hotel, awaits. Think of our luxury hotel as a welcoming and soothing oasis ideally located close to the year-round cultural action of the city! We were only there for one night, but this may be my favorite hotel stay in 8 years. I highly recommend Le Saint-Sulpice. The rooms are immaculate and well equipped. The location is perfect. But the staff is really what made our stay special. The Valet, Front Desk, Housekeeping, Waitresses were all top notch, and the Concierge staff was simply amazing. The recommendations site-seeing, dinner and most of all night life were perfect. They really listened to what we wanted and had the knowledge to make the right recommendations on and off the beaten path. This is the only hotel I will use in Montreal. Stayed here January 2019 for about the 4th time. Nice big comfortable rooms. Great staff, especially Vincenzo and Emie at the Concierge desk. Very reasonable room prices as well. Location is terrific, right in the middle of the Old City. Many great bars and restaurants in the neighborhood. Try the Pub St. Pierre on Rue St. Pierre, just a 3-4 minute walk from the hotel. A place you wish was in your home neighborhood. I would give Le Saint-Sulpice two thumbs up for a recent stay in Montreal. The room was beautiful and the staff was very friendly and helpful. 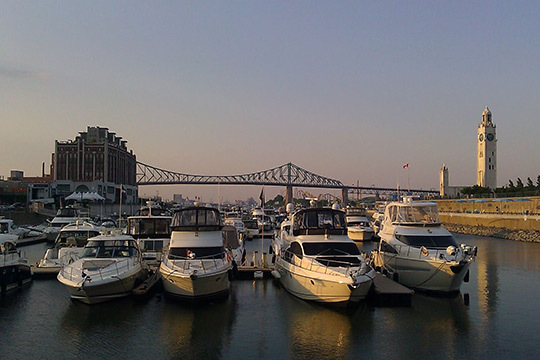 Located in charming Old Montreal, there is so much to see and do close by.